If you are one of those people who do the same search every week so you can get on the hold list early, keep reading. It can be time-consuming searching for your favorite author’s new book every week, or seeing what new DVDs are on order. Well, the catalog has an option called “Save Search.” This option appears after you perform a search. 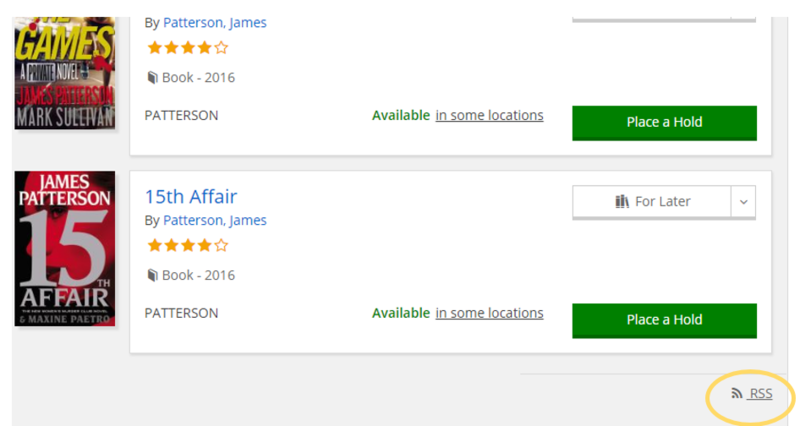 Let’s save that search so you don’t have to do it every time you search for his new books. Click "Save Search;" if you aren’t already logged in, the system will ask you to log in, then name that search before you save it. Click on that and you will go to a page of all the searches you have saved. 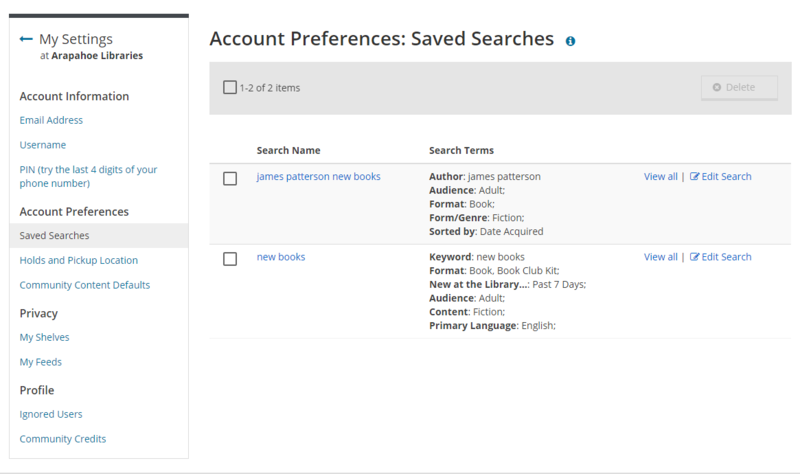 Click on your search and you should see any newly acquired books at the top of your search. Now, let’s go to a website that will send us emails when new items get added to our search. Blogtrottr is a good and easy one. Paste that URL you just copied in the bar that’s in the middle of the webpage, in the next box enter your email, then hit that “Feed Me” button and you are all set. If everything is working correctly, you will get an email when we order new items that match your search. We hope you find that helpful easy. What's your favorite search?